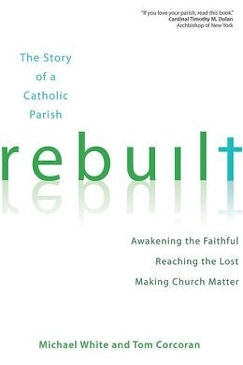 As I mentioned in an earlier post, I recently finished reading the book “Rebuilt,” by Rev. 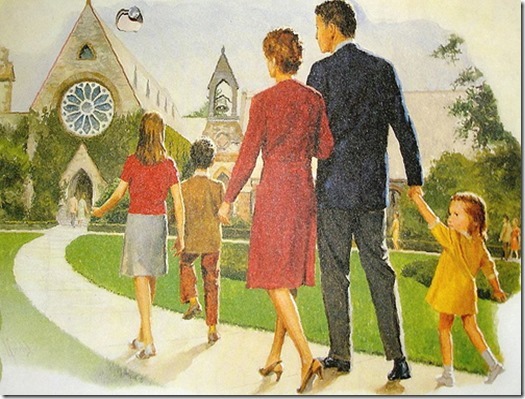 Michael White and Thomas Corcoran, and I have spent the past few weeks reflecting on what was proposed by the authors as solutions to some of the problems faced by the Church today, namely dwindling numbers of parishioners, lack of interest in the faith, and a general mindset of consumerism. Parish numbers are decreasing, the “faithful” are becoming less and less, well, faithful, and everyone is demanding that the parish employees meet their every need. We are clearly suffering through a crisis of faith, and very few people have been able to propose a successful solution to this problem. While I was originally skeptical about some of the propositions mentioned in the book (and I’ll probably dedicate a blog post to some of these issues in the future), it is undeniable that the Church of the Nativity, the parish on which the book is based, has flourished since Fr. Mike and Tom first began to implement their changes within the church. In just a few years, the amount of families attending Mass, tithing, and serving has skyrocketed. The basis of their vision was that everyone had to change the way they viewed the Church and their relationship to it- and that started with Fr. Mike and Tom themselves. Like many other parish employees across the nation, Fr. Mike and Tom could easily identify the problems that they faced within their church. They were carrying out labor-intensive activities with little to no assistance in the hopes of drawing more parishioners out to the church. They were giving out free donuts and pastries after all Sunday Masses, attempting to bribe people to come out for the free food. They did everything they were asked to do, but still people didn’t come. They did all these things hoping to attract more people to their church, but despite their efforts, the numbers continued to dwindle. Their attempts were in good faith, but eventually they realized that they were really just feeding the fire. Fr. Mike and Tom knew that they were dealing with needy parishioners, but it took them some time before they realized that their attempts to fix some of the parish problems were actually just making them worse. Their parishioners routinely made demands on the employees, and the church staff members were always willing to acquiesce. In essence, they were telling their parishioners that it was okay to be demanding consumers, and naturally ‘church’ became just one place where needs could be met. It was like the gym, the grocery store, or the clothing boutique in town; church was a place to go when you needed something, and once you got what you needed you were free to go and live your life. Church was just one place on a family’s list of places to go on Sunday morning. Mt. Carmel for Mass, the Daily Treat for brunch, King’s for groceries. Check, check, and check. They came, they got what they wanted, and then they checked it off their list of things to do and moved on to the next. But what do parishioners think they’re getting? What are they coming for? What are they walking away with? Some parishioners came for community or family approval. Others came for community bonding and the week’s gossip. Still others came to be fed. Even those parishioners who understood what they were getting, who they were receiving, only grasped half the truth. They knew they were receiving Jesus Christ, that they were getting eternal life through this gift of bread and wine, but the Eucharist is not ultimately about getting. It’s about giving. It’s about becoming more like Jesus Christ; it’s about becoming one with Him. But Jesus Christ was never concerned about what He was going to get. If He had been, He probably wouldn’t have been willing to die for us. But fortunately it wasn’t about getting; it was about giving. Christ gave His life for us, and He invited us to do the same, to be like Him. And He blessed those who gave, promising that they would get the most amazing gift of all: eternal life. If we give our lives to Christ, we can live forever. But before we can get, we must give. Tom and Fr. Mike changed the mentality of their parishioners by changing the focus from getting to giving. They changed the language everyone was speaking. The tiny staff abandoned their efforts, realizing that their giving wasn’t getting them anywhere. It wasn’t doing anything but making them more tired. Instead, they identified a handful of practical ways that they could encourage the faithful of their parish to change their church mentality. Tom and Fr. Mike’s theory was simple: the mission of the Catholic parish is to awaken the faith of the lost and to strengthen the faith of those already within the church walls. By changing the language from one of getting to giving, they helped their parishioners to turn their lives around. They encouraged service as a means to fulfillment, and in time, the church members realized that it was only be giving of themselves that they could be truly satisfied. It is only by emptying ourselves that we can be filled. As the parishioners embraced this paradigm of giving, they also became much more passionate about their faith, and they brought that passion to the lost who had found their way into the church. By addressing one problem, they were able to make some headway in addressing another. By turning the current parishioners from consumers into saints (or aspiring saints), Fr. Mike and Tom were also creating an army for Christ, soldiers challenged to bring the Good News to the lost. It was not long before the lost were being found in the pews of the parish, meeting the Lord that the parishioners had already fallen in love with. Throughout “Rebuilt,” Tom and Fr. Mike discuss some of the more practical aspects of their plan. While the book touches on many different facets of church life, including the Mass, religious education, youth ministry, and service and outreach, there are two areas that receive a considerable amount of attention: the homily and the music. Quite often, when you ask a person why they attend a particular parish (or why they avoid it), the answer is either the homily or the music. We go because the music is very good. We leave before the cantor can’t hold a note. We go because the priest knows how to entice an audience. We leave because the priest mumbles through his homilies. We go because of the music. We leave because of the homily. It’s obvious that these two elements of the Mass, even if they are not the most central to the liturgy, are important. While you can argue that the music and the homily should not determine whether a worshiper remains at a particular parish, you cannot argue that this in fact happens. Whether we want to admit it or not, whether it’s right or not, it’s true: the music and the homily have power. As helpful as the chapter on homilies was, most of it could not be applied to my life as a worshiper and lay minister. In addition to that, I didn’t disagree with anything that was being written. Some of the suggestions- such as having the homilies be consistent with one another, regardless of the presider, in a given weekend- were novel, but they all made sense. The chapter on music, on the other hand, was much more provocative. 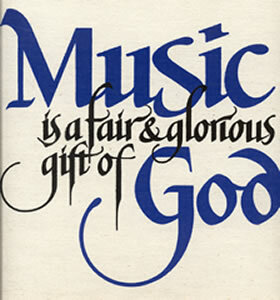 Music is one of those topics that Catholics get incredibly passionate about. 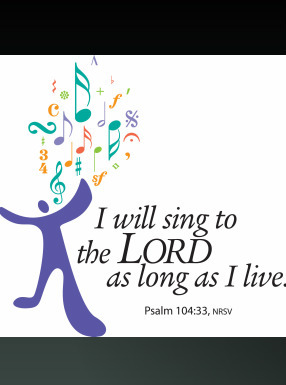 I’ve heard people sing the praises of contemporary Christian music (CCM), as well as of more traditional church hymns. I’ve also heard people mock folk artists who “make us seem like pagans,” as well as more traditional hymns that seem incredibly Protestant in their choice of lyrics. I’ve also heard these people argue with one another. By the passion and elevation of voices, you’d think that people were debating heresy. Then you listen for a while, and you realize that they’re discussing church music. Very forcefully. I have heard nearly every argument for and against contemporary Christian music, traditional hymns, and folk music. Over the years, I have become admittedly very critical of folk music (it seems that there is only a very small percentage of worshipers who actually enjoy this type of music, inside and outside of church). I’ve grown to love traditional chant and the complicated choir pieces that were so common in churches in centuries past. When I’m at school, I sing in a choir that uses more traditional hymns, and I spend a great deal of time with friends who very strongly believe that there is no room in the Mass for guitars and drums. That being said, I think I will always have a soft spot in my heart for CCM, particularly those Catholics hymns that are just becoming more common in church. Jesus Christ chose to speak to me not through the hymns of St. Thomas Aquinas or Marty Haugen, but through those of Matt Maher and Steve Angrisano. I fell in love with Jesus Christ in an atmosphere that favored more contemporary artists, by listening to songs that spoke of Christ’s love in a way that my 21st century heart could understand. Even though I have discovered other styles of music that I can also appreciate, I will never stop loving CCM. In a very real way, it was this music that helped me to drop my defenses and opened my heart to the Lord. I fell in love with Christ by listening to contemporary Christian music. And I’m not ashamed of the truth. This fact has earned me a lot of criticism over the years. Immediately following my re-version, I was very vocal about my appreciation of CCM. I sang in several worship groups, and I defended my love of contemporary music against the attacks of a handful of people who didn’t have any appreciation for this particular type of music. In many ways, I actually agreed with them. The gist of their argument was this: adding “Jesus sprinkles” to bad music won’t make it good. In other words, just because you’re singing about Jesus doesn’t mean it’s automatically good music. The traditional hymns have not survived centuries simply because they were about Jesus; they survived because they were good. If that wasn’t true, you’d only hear these musical pieces in churches, and never in concert halls. But nowadays, you’re more likely to hear Schubert’s “Ave Maria” in a concert hall than in most churches. I totally get that. There are some CCM hits that are really just bad music. They only get air time because they can play on Christian radio stations, which generally seem to be rather lax with their standards for musical talent. They could never make it on the secular radio, even if they didn’t sing about Jesus. They’re just bad. That being said, I think there is also plenty of good contemporary Christian music. There is talent among these artists. A lot of CCM criticism stemmed from the fact that most modern music was bad, and I can’t entirely disagree with that. I do think that there is good modern music out there, and consequently, that there can also be good contemporary Christian music. I also believe that this good CCM can have a place in church. 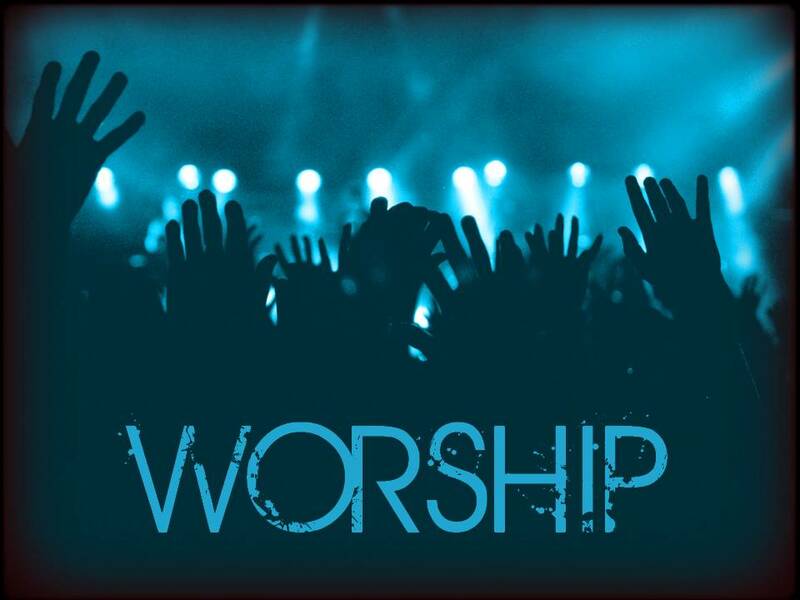 To this day, my favorite form of prayer is Adoration that features praise and worship music. Up until recently, I believed that this was a suitable place for CCM, while the Mass might not be. Reading “Rebuilt,” as well as my recent experiences in church, have me questioning this presumption. It has never been a belief that I have held too strongly. The soft spot in my heart has prevented me from being too critical of the music that drew me back into the arms of Christ, but in recent years, I have developed an appreciation for more traditional hymns, as well as for the appropriateness of a well-played organ. I settled in with friends who had an obvious preference for older music, and the defense of their position always made sense to me: older hymns have stood the test of time, and for good reason, and they preserve the sense of “otherness” that surrounds the Mass. In other words, traditional hymns, so foreign to our rock and pop-laden ears, suggests that we have stumbled upon a realm that is distinct from the world. They remind us that we are standing on holy ground. They remind us that the Mass is something heavenly. I completely agree with that analysis of the situation. I really do think that the traditional hymns help me to remember that Mass is something special, something extraordinary, something supernatural. The “otherness” of the liturgy is practically palpable when those old hymns are playing. This reminder is something that I need; it prevents the Mass from becoming something “normal” to me. It keeps me from taking it for granted. No matter how many times I might attend Mass, it should never become “normal.” I need this tangible reminder of the Eucharist’s “otherness.” The lost don’t- not the same way that I do at least. For those who have been lost, who find themselves in church looking for answers, the Mass is already incredibly “other” to them. They don’t need traditional hymns to remind them of this fact. Everything about the Mass screams “otherness” to them- the hymns (whether they be traditional, folk-based, or contemporary), the vestments, the rote prayers and responses, the parish-wide synchronization of sitting, standing, and kneeling. All of this communicates a great deal of “otherness” to the lost person who is only just discovering Christ and the Church. In fact, these things can even go so far as to alienate a particularly delicate newcomer. The sense of “otherness” that is natural to the Mass can quickly transform into alienation unless it is accompanied by the welcoming of parishioners. This is where the lay faithful are called to serve. For us, the “otherness” is an asset; it is something that reminds us that we have found something divine. For the lost, this same “otherness” can be a hindrance; it can become something that suggests that we have found something inhuman. The lay faithful, who are often tempted to take the Mass for granted, need to be reminded that the Mass is something incredibly special. The lost, on the other hand, need to be shown that the Mass is somewhere that they belong. Yes, the Mass is “other.” It is heavenly. But we also must remember that this “other” Person became human; He became like us. The Mass is the union of both heaven and earth, God and man. In the Eucharist, throughout the liturgy, God comes down to man, and man is drawn up to God. He becomes one with us. The lost are drawn to the otherness of God, but they are also drawn to this God who became like them, who was willing to embrace the lost and heal the sinner. They are listening, waiting for God to speak to them. They are standing alone, waiting for God to take hold of them. In a very real way, this can happen through the music. The Mass hymns have the power to speak the words of Christ, to make the lost feel loved and wanted. They cease to be foreigners and strangers, but instead become brothers and sisters. They become family. There is a lot of power in music. Some music has the power to make us feel the “otherness” of God; other hymns reveal to us His nearness. 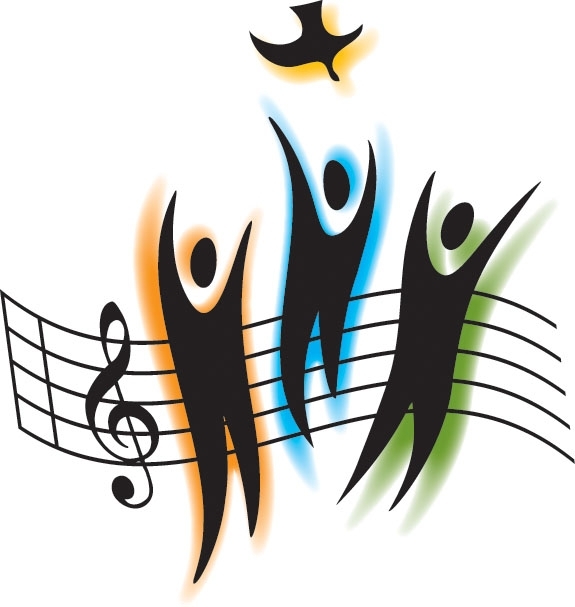 I’m beginning to realize that the different types of church music reveal the difference “faces” of Christ, so to speak. The different hymns speak to our different needs. At different times in our lives, Christ has different messages for us, and these can be communicated through the different music forms. Some church music celebrates the timelessness and strength of the Church, the divinity of Christ, and the otherness of God. Other music reminds us of the mothering embrace of the Church, the humanity of Christ, and the nearness of God. We all need to hear different things at different times in our lives, and God has a lot to teach us. There is a lot of power in music, but God has the power to take that music and speak to us. He can use music to touch our hearts, to show us the love that He has for us. There is a lot of power and beauty in those traditional church hymns, but I also believe that there is a lot of power and beauty in contemporary Christian music. God can speak to us in the most unlikely ways. I am unique, but my story is a common one. Christ first reached me through one form of music, but He continues to speak to me in others. What He says in one song will differ from what He might say through another. I think CCM has the power to reach the lost because it is something that they are familiar with; it’s something that they know and understand. It makes them feel comfortable, and this is important at the beginning. The Mass is beautiful, but it is unlike anything else in the world. 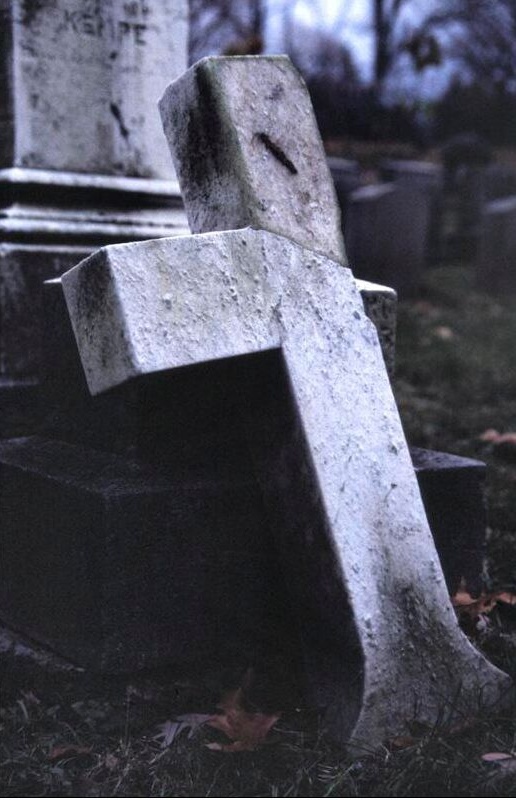 This is something that the lost are incredibly aware of, but that the faithful tend to take for granted. Mass can be a very overwhelming experience for the lost; it should be an overwhelming experience for all of us. God is becoming one with man. Heaven has touched earth. God loves us so much that He is willing to take the form of bread and wine to be consumed by us. This is overwhelming, and that which overwhelms us has the power to draw us in deeper than ever, as long as it does not scare us away first. Falling in love does not happen in an instant; it takes time. It requires that we lower our defenses, become acquainted with the Lord, and open ourselves up to Him. Contemporary Christian music has an immense ability to do this, and even if it is just a stepping stone to a deeper relationship with Christ that incorporates a deeper lyrical form, its power should not be ignored. CCM has the power to capture hearts, preparing them for the eventual union of God and man that can only be found in the Eucharist. Music is like love. There is love the feeling, and then there is love the choice. Love often starts as a feeling, but it must be sustained by the choice. Even though the choice is a higher, purer form of love, the feeling is not negated by the choice. The feeling leads to the choice; it supports the choice and helps it to reach its full potential. As is the case with most things, love is not an either/or; it is a both/and. You do need to choose between the feeling and the choice. One might be more important than the other, but they are both good. I think that church music is a lot like love. CCM is that initial feeling, that love that draws you in at first. It is emotion-driven, but speaks straight to your heart. It is raw and personal. But it is not the end. The feeling leads you to the choice. Without the choice, the feeling could never survive. CCM has the power to draw in the lost, but it won’t sustain them by itself. It needs that lyrical beauty that has withstood the test of time, that has been proven in its strength and power to stir the human heart and draw it closer to Christ. CCM needs those traditional, time-honored, saint-inspired hymns. They are meant to complement each other, to reach both the lost who are just falling in love, as well as the faithful who need to have their love strengthened and deepened. Contemporary Christian music and traditional hymns both serve a unique purpose, and they both reach a unique group of people with unique needs. For that reason, we need both types of music, and that’s why I think Fr. Mike and Tom are right: there is certainly a place in the Mass for time-honored hymns and chanted psalms, but there is also a place for contemporary music. We do not need to choose one or the other. We can have them both. Christ wants us to have it all. He wants us to feel love and to choose it. 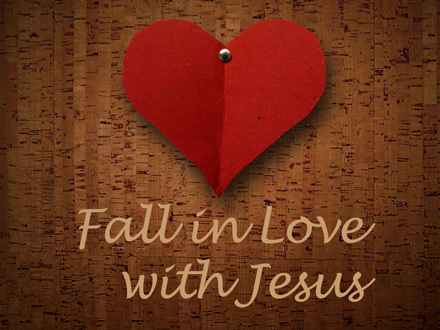 He wants us to fall in love with Him over and over again, growing deeper with every hymn that we sing. So next time you’re in Mass, make sure you sing your heart out. Singing is praying twice after all, so I promise God will hear you. He is always listening for the voices of those whom He loves.